Today we’re talking to Jack Sweeney from CISN in the Mornings with Chris, Jack, and Matt on CISN Country 103.9 in Edmonton, Alberta. Find her on Twitter and Instagram. What is your favorite Christmas movie or TV special? The Nightmare Before Christmas! Some say it’s a Halloween movie, but in the Sweeney house, it only comes out at Christmas Time! We are just starting our traditions (my husband and I have a one year old), but I remember growing up Santa would always write me a letter and leave it on our fireplace so I could read it Christmas morning. It always amazed me that he knew such specific details about my life from the past year. He really is always watching! Which do you prefer: to give or receive? I love to give. Especially when you have looked far and wide for that perfect gift for someone. I get so excited to see the look on their faces when they open that gift and it’s tailored to them! Do you do your Christmas shopping early or leave it to the last minute? I’m an early shopper! I can’t help it! It gets so crazy at Christmas time. I know I have to have my shopping done by the middle of December or it doesn’t have a hope! 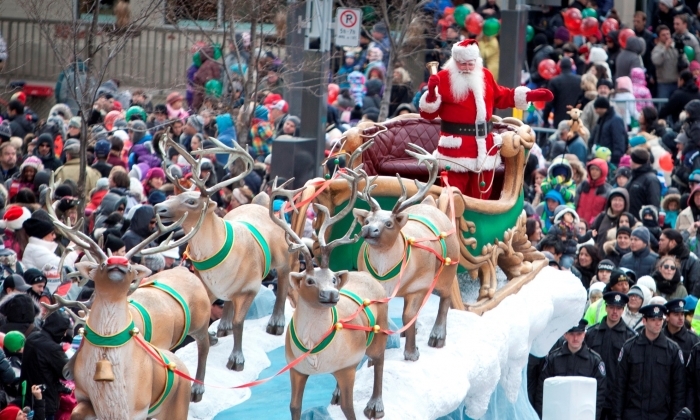 In which city do you watch your local Santa Claus parade? We watch in Edmonton, Alberta. YES! I do believe it’s a dying tradition, but I love it. Nothing beats writing a short special message to those that you love. Plus, I’m a mail geek. Which do you prefer: real or fake Christmas trees? I’ve always had a fake Christmas tree but this is the very first year my husband Bobby has convinced me to get a real one. He says we will never go back….we will see. Do you consider yourself good at wrapping presents? Yes! I’m a nerd that gets all into it with a matching ribbon and bow too. I usually set aside one night to wrap all the gifts and it is hours of mayhem and mess and sparkles. Ha! Ugly Christmas Sweaters: Not a Chance – or – The Uglier the Better? I like “Cute” ugly Christmas sweaters. If they light up it’s even better! What do you want Santa to bring you this year? I would love a weekend away in the mountains with my family. We are lucky in Edmonton that we are only four hours away. My husband works out of town so when he is home, we often are visiting family and friends. But, a weekend to the mountains just us three would be lovely. Santa Claus has been featured in countless Christmas specials over the years, but they are not created equal. Sometimes Santa is sugary sweet, and sometimes he is just plain strange! 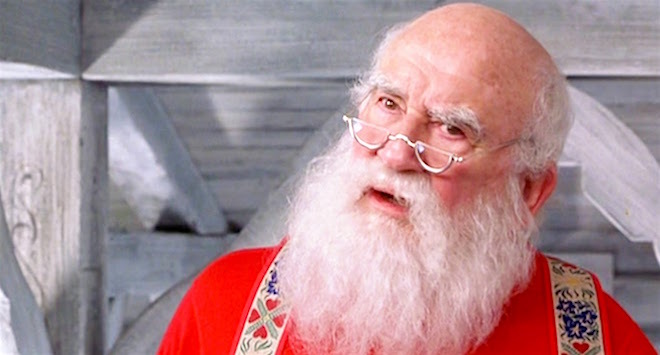 It’s time to celebrate the best of the best Santas in pop culture history! Ed Asner plays a tough as nails Santa with a heart of gold. He is stern yet supportive, and he genuinely cares about his North Pole colleagues and friends.